You are here: Home / News / Welcome to the brand new Daughtry.com! 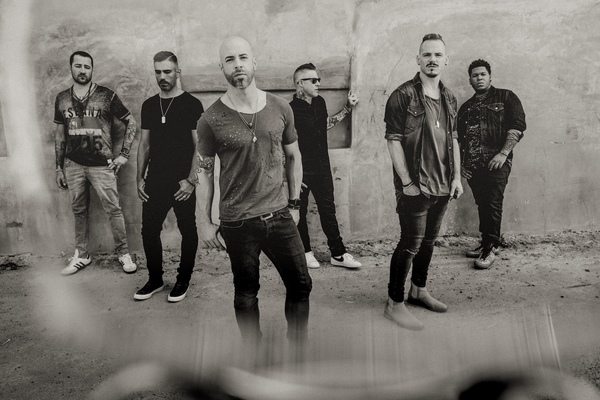 Welcome to the brand new Daughtry.com! Introducing the new and improved DaughtryOfficial.com! Take a look around and tell us what you think in the comments below. Join the Official Daughtry Fan Club for early access to concert ticket and VIP pre-sales, exclusive media, members only contests, and more! There's a great contest going on right now. Fan club members can enter to win free VIP packages to an upcoming concert. Also, fan club members are able to participate in the community aspects of the site. You can check out other members' blogs and write your own, send messages, write comments, and more. Become a member and head on over to the Community section now to see for yourself. Can't wait for the show tonight in Colorado Springs. I have been to every single Daughtry concert in Colorado (including the American Idol concert way back when just to see Chris Daughtry at the time). Daughtry ROCKS, Chris your voice is the BEST out there and I can't wait until you release your new album! It's been a long time waiting but it's worth it. Keep the ROCK alive!!! Thanks for coming back to Colorado, the last time was at Red Rocks, what a concert that was! I believe this is the 12th time I will see Daughtry in concert!!! Huge fan!!!! Yeah we are back online! Just got home after seeing your concert at the Pabst Theater in Milwaukee Wisconsin. You did an awesome job. I would recommend your concert to everybody and anybody. Thank you for a great show and a wonderful time. it was a pleasure listening to you guys and meeting you. One of my favorite bands! Thanks for your music guys! Please, come to Brazil one day! The anticipation of the upcoming tour is really setting in now! !Full band show LIVE is what fans dream about when their favorite band is on stage in their hometown venue!! !Thank you DAUGHTRY for showing up at the PALACE in Greensburg, PA!!! A ten year dream finally about to come true!! Somebody knows the email to send a question about my membership? I don't find any email address on this site. Please Please can you tell me when the new album is going to be released...!